If you’re a working mom like me, you’ll already have looked at the next two or three months on the school calendar and maybe added appointments to your calendar at work so that you have a reminder of school closure days ahead of time. As I explained to a friend who doesn’t have children recently, most schools within a district follow the same dates for major breaks such as Winter and Spring but there’s huge variability in when and how individual schools schedule conferences, teacher in-service days and other non-school days during the school year. Finding childcare or coordinating a work-from-home day with your employer can be painful. Picking out some of these dates and planning ahead to take mini-vacations over three or four-day weekends keeps me sane. Putting thought into how we will spend the longer breaks now has consistently helped me save money on my family’s travels and allowed us to keep traveling even though the children are at school. Let’s say you pick a weekend in January where your child will have no school on Friday and the following Monday and you think a city break in San Francisco would be fun. But, when you look at airfares you find that flights on Monday evening are expensive and flying during the day Tuesday would save you $30-$50 – a decent savings when you’re buying four or more tickets. If you talk to your child’s teacher now he or she will appreciate the advance notice and you will both have ample time to ensure that your child can either work ahead or bring some exercises along so that he stays current with the class. We attended a family wedding in the U.K. this past April. I first brought it up with my child’s teacher when school started the previous September and we discussed how and what to do to make sure that he was in synch with the rest of the class when he returned to school. His re-entry was painless and he had plenty of time to get the required school-work done on planes and trains over the course of our trip. If you plan to travel during the major school breaks – usually busy travel periods – a little legwork now may bring significant savings. Use a tool such as Yapta.com or Hotwire.com’s Trip Watcher to leverage technology to do most of the work for you. If you know where you want to go, start by saving a search for airfares or accommodation on one of these services now. You can configure email alerts on price changes so you know the best time to buy. If you’re not quite sure where you want to go, sign up for email offers from your favorite airline or with a consolidator services such as Travel Zoo for deals on every aspect of travel from accommodation to airfares to tickets to a concert or show. I’ve been using this approach for a few years now even before these tools were available, although manually keeping a constant watch on airfares on a chosen route was time-consuming. However, it meant that when we traveled to Italy in June 2008, I spent $300 less per ticket by buying in January than my friend who waited and purchased at the best available price in April. This year I’ll be using Yapta.com’s automated search since with their excess fare refund I win even if I don’t buy at the lowest price. Properties at popular resort areas sell out fast during holiday periods. By searching early, you’ll have the pick of the crop – I’ve got a beach house in Florida booked already for Christmas week. Now I can relax and look for the best deal on flights to get us there. The property owner was very happy to confirm a rental so far in advance and told me that in his experience this property is usually gone by early September. So there you have it. I know you’re still adjusting to the rigor of the school schedule and probably coordinating carpool and sports schedules too. 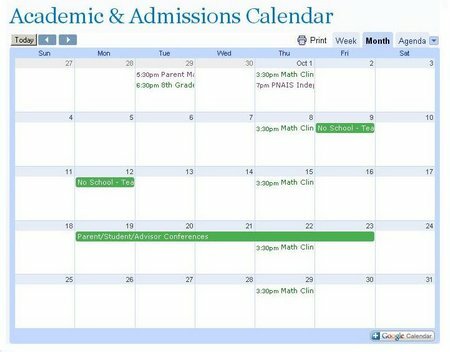 But take a minute and see how you can use the school calendar to your advantage. You’ll be glad you did. Like what you’ve read? Subscribe for updates via RSS, follow me on Twitter. This entry was posted in News And Views and tagged Budgeting, Hotwire.com, Trip Watcher, Yapta.com on September 20, 2009 by wandermom. I am still trying to figure out something for thanksgiving and/or christmas. You mean I need to look at next year holiday breaks also? Great advice. We are in the same boat. Planning a summer break take a lot of planning. And if you add kids’ doctor and dentist appointments to the mix, your calendar will be very colorful. I also use Fare Compare notification feature to help me keep a watch on the great deals on air fare. And when your kids reach middle and high school age, they may be taking off on school or church related trips. It’s like a mini honeymoon all over again for you and your husband! what fun! we’re lucky enough to homeschool, worldschool, actually – and LOVE going places when there are less people. Thumbs up! I learned the hard way last year. I was so used to their easygoing preschool schedules that I forgot to calendar in advance. All of a sudden, there we were with a 4-day weekend and no plans. Lost opportunity! I guess that’s why we went haywire this summer. Glad to be moving forward with a little more knowledge. Great post!